Pillow made from termoelastic memory foam. Guarantee comfortable and peaceful sleep. It's great in treveling. Size L: 42 cm x 23 cm x 13 cm. A symmetrically profiled pillow made of two different kinds of memory foam with different properties. Removable inside enables to adjust the pillow height to make it match your needs better. Size M: 30 cm x 40 cm x 12 cm. 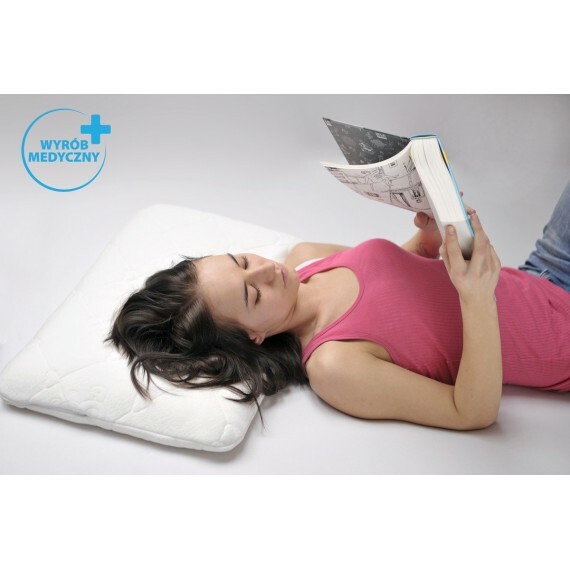 Two-sided pillow with the ability to select adequate firmness, suitable for children above 3 years of age and the youth! Size: 50 cm x 35 cm x 9 cm. 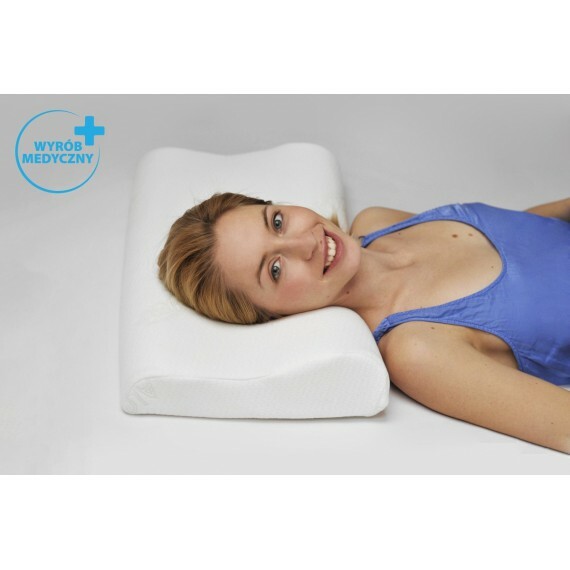 A pillow of classic shape made of visco memory foam, giving the sense of even support for the head and cervical spine! Size: 66 cm x 41 cm x 11 cm. A pillow made of visco memory foam. 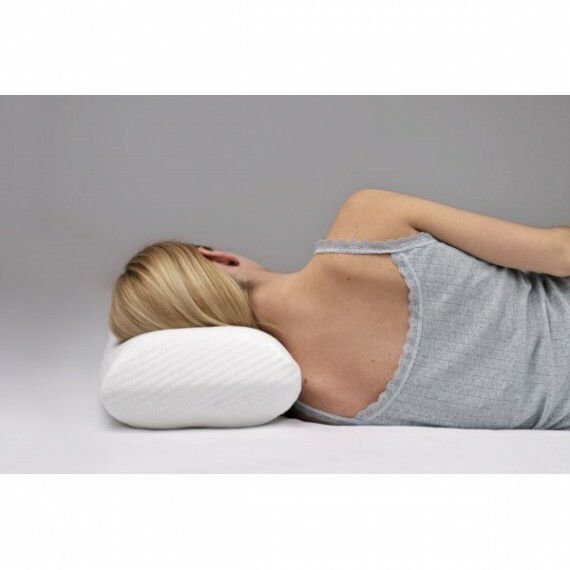 Adequate for people used to the classical shape of pillow with lower head support. Available in size: 66 cm x 41 cm x 5,5 cm. A profiled pillow made of visco memory foam contouring to the body, proper for back and side sleepers. Size L: 59 cm x 33 cm x 9,5 cm. A symmetrically profiled pillow made of memory foam with the possibility to select adequate height and profil according to individual needs. Available in size: 59 cm x 33 cm x 11,5 cm. A symmetrically profiled pillow made of two different kinds of memory foam with different properties. Removable inside enables to adjust the pillow height to make it match your needs better. Size L: 50 cm x 40 cm x 12,5 cm. 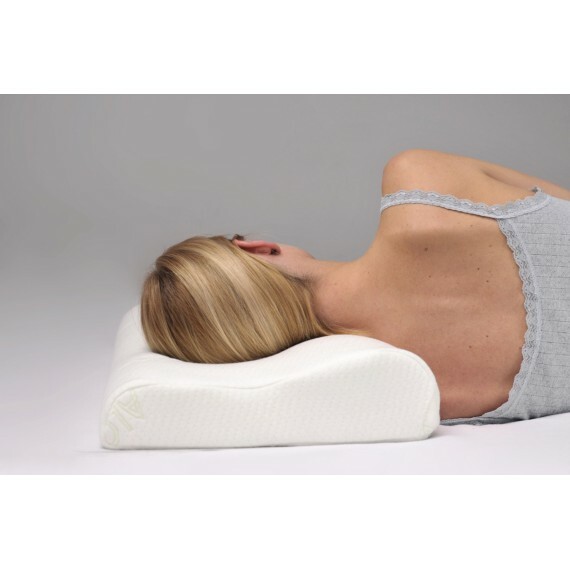 A profiled pillow made of visco memory foam contouring to the body, proper for back and side sleepers. Size XL: 66 cm x 34 cm x 11 cm. A pillow made of visco memory foam contouring to the body. Perfect for travel! Size S: 40 cm x 23 cm x 9 cm. A symmetrically profiled pillow made of two kinds of memory foam with various properties, with an additional pillowcase of white cotton. It ensures the highest level of comfort via supporting the head and the neck in every position taken while sleeping.